Sing the praises of a young chef who knows how to make great hors d'oeuvres, main courses and sauces! The chef boy personalized Christmas ornament stars a skilled young culinary pro putting his skill, creativity and education to use in the professional arena. These cooking ornaments personalized as fun mementos of these exciting days include his name and, at your option, a year too. 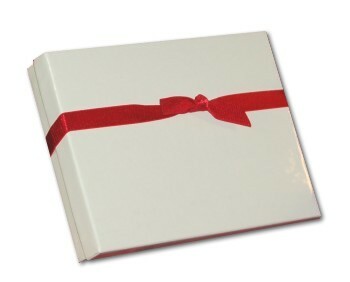 One of our lettering pros will hand paint the name where shown but in a handsomely stylized font. 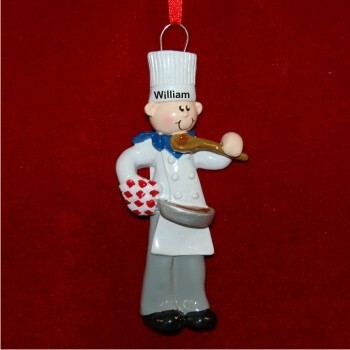 He'll appreciate the support you show him with the male chef personalized Christmas ornament that arrives ready to display in our plush velvet drawstring pouch.